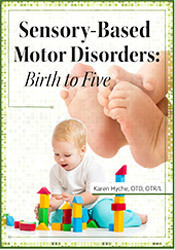 Karen Lea Hyche, OTD, OTR/L, is an occupational therapist with over 20 years specializing in sensory processing disorders, autism and learning disabilities. She is the owner of Hyche Center for Sensory & Motor Learning, in Jasper, Alabama, an occupational therapy clinic serving children (birth-16 years) with a variety of diagnoses including, but not limited to, developmental delays, learning disabilities, sensory processing disorder, visual-perceptual deficits, poor handwriting, feeding difficulties and autism. Dr. Hyche served as the occupational therapist in two Jasper county public schools for four years working with children from preschool through high school. She continues to serve as a consultant for the public schools, as needed. Her experience includes providing psychiatric care for children (birth-18 years) while working at a psychiatric hospital. She is a member of the Alabama Early Intervention ICC and serves as the financial chair. Dr. Hyche serves as a fieldwork instructor for the OTA program at Wallace State Community College. She is certified through Western Psychological Services for instruction and administration of the Sensory Integration Praxis Test and is an ILS service provider. 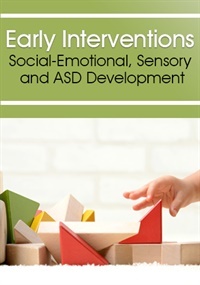 Dr. Hyche is the co-author of the book entitled, Classroom Strategies for Children with ADHD, Autism & Sensory Processing Disorders (PESI, 2014). Financial: Karen Lea Hyche is an instructor at Wallace State Community College. She receives a speaking honorarium from PESI, Inc. Non-financial: Karen Lea Hyche has no relevant non-financial relationships to disclose.